West Newton Hill is characterized by diverse examples of residential architecture dating from the 1840s and landscapes with mature trees. Intertwined with these structures are the stories of the families who built these homes. This combination of history and architecture constitutes a distinct legacy which thoughtful stewardship can preserve. Continuous updating and maintaining homes is part of that process, as well as telling the stories. Making sure that new homeowners and real estate professionals know about the history of West Newton Hill is also important. Preservation can have economic, cultural, educational and environmental benefits. Sometimes short-term expediency can lead to a loss for the community as a whole. This is occurring elsewhere in Newton and throughout other historic neighborhoods in New England. 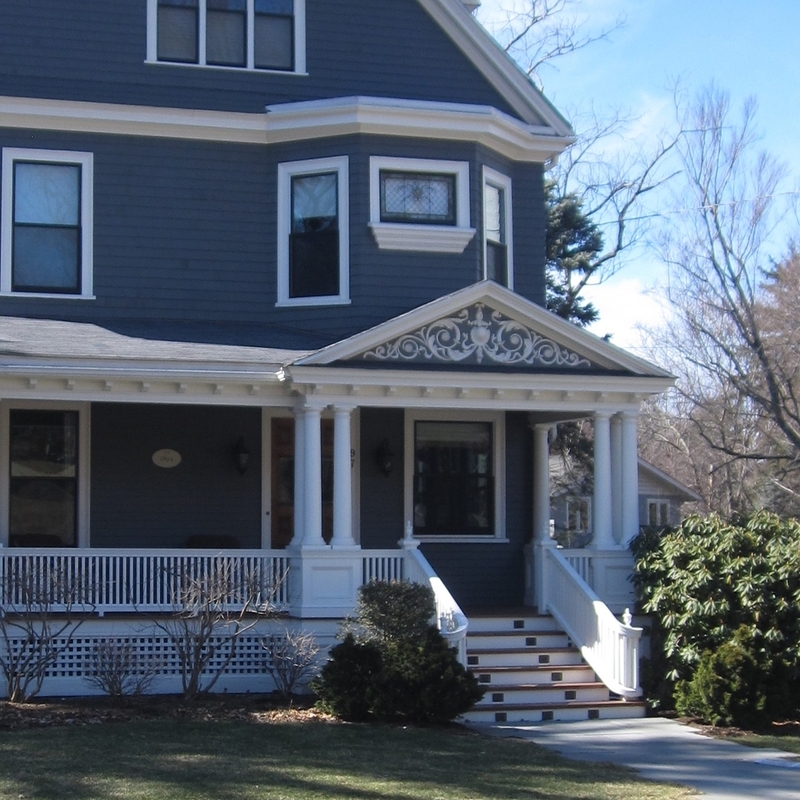 Recent demolition applications for historic homes in West Newton, including some which are on the National Register of Historic Places, have raised awareness that the buildings and streetscapes we take for granted are at risk. The demolition of the historic home at 174 Valentine Street in September 2016, in conjunction with the felling of the mature trees on the site, has altered the character of that street. (See video clips on this website, under Updates, and for overall demolition trends in Newton see this article from the Newton Tab.) Demolitions also have a detrimental environmental impact, when quality structures which were built to last instead fill dumpsters and landfill. The risk is that the prevailing character of West Newton Hill will be sacrificed irretrievably. This has already occurred on some of the streets in the neighborhood. The importance of the architectural resources on West Newton Hill has been recognized; more than 100 buildings are on the National Register of Historic Places, either within clusters or individually listed. More than 100 other buildings have been documented previously and inventoried as historic and cultural resources with the Mass Historical Commission. Many homes have historic house markers provided through the research conducted by Historic Newton at the Jackson Homestead. Whatever the historical or architectural significance of a building in West Newton, the community currently does not have a tool to stop unwanted demolitions of these structures, only to issue at most an 18-month delay. A group of over 30 volunteers completed an in-depth study to document the history and architecture of West Newton Hill in January 2017, available on the LEARN tab on this website. We welcome involvement and ideas from all neighbors. Ornate pediments are a common detail on many of the homes in the area. Columns, ranging from short to tall, support many of the beautiful porches. Gracious covered entries, with custom carpentry are a distinctive feature.